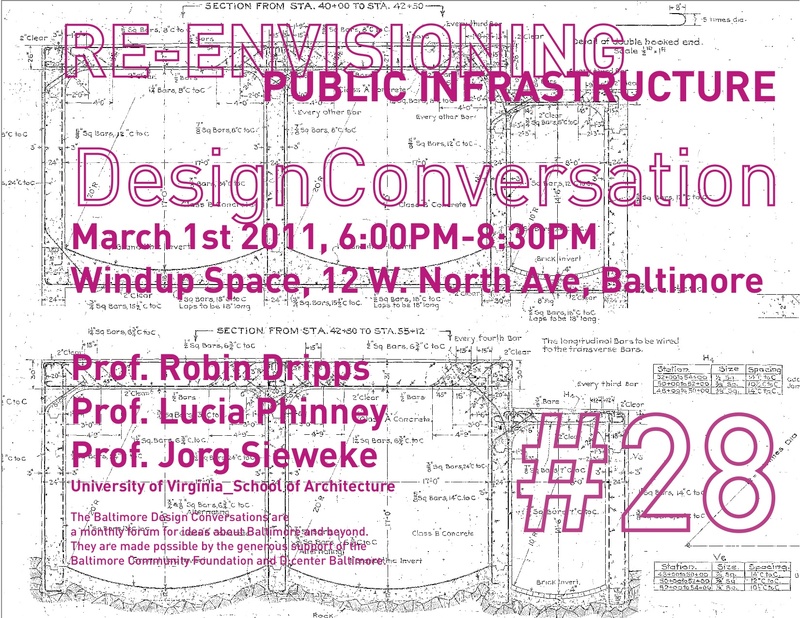 UVA Faculty Robin Dripps, Lucia Phinney and Jorg Sieweke invited to discuss their recent research on public infrastructure in the D:Center in Baltimore’s Station North District WindUp Space. Check B’More Green Blog covering/commenting on the event. Re-envisioning public infrastructure along the lower Jones Falls Corridor! Make no little plans! What would the river do? Jorg Sieweke explores the future of the Jones Falls that once shaped the city and has been neglected and buried in an underground culvert to make room for an inner city expressway the JF-X. “I had come to bury the Jones Falls, not to praise it! “Henry Barton Jacobs, 1915. Consequently these two mono-functional conduits caused a hostile environment. Assuming the supporting systems (culvert and elevated highway) meet their designed lifespan, are we to invest along the same modernist paradigm that imposed order and control over all natural processes? 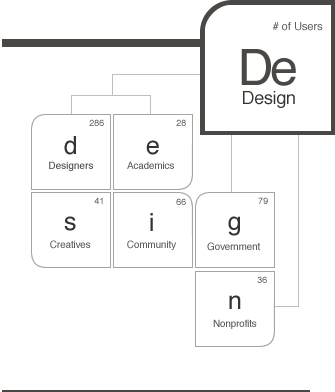 The studio explores potential alternative solutions to envision a public realm with multiple functions qualities and purposes. How can re-surfacing the stream contribute to stop or even turn around a spiral of ecological, economical and social degradation? Can the re-discovery of the “rivers right of way” help to build an address, like the Inner Harbor did for Baltimore’s urban renewal in the 90’s? What constitutes small scale urban infrastructure? How does this influence daily life? Who might be responsible for its continuing function? Robin Dripps and Lucia Phinney employ parametric software to model vacant lots, useable roof areas, surface water flows, and scattered vegetative patches in relationship to existing urban patterns, topography, and solar orientation. These studies reveal the potential for a new form of local infrastructure including intersecting networks of rainwater harvesting, collection, and distribution; local agricultural production, processing and sales; and local material salvaging, repurposing, and commercial distribution. Constructed as an ad hoc neighborhood mechanism, this new layer of intelligent infrastructure could instigate local business startups, provide efficient alternatives to public services, and become the basis for a vital self sustaining community. Next Next post: EDRA 42 Chicago May 25th: Make no little plans!